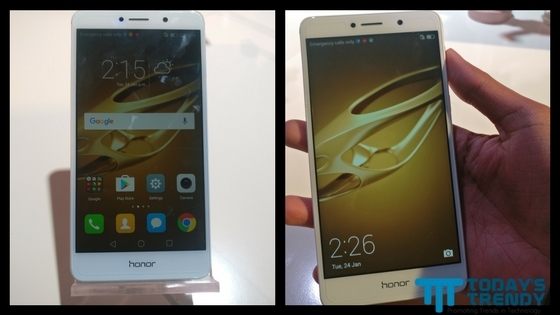 Finally, after lots of teasers, Huawei has launched their latest smartphone, the Huawei Honor 6X, in India. It features a dual camera set-up at the rear for phone photography enthusiasts. The device comes with a 5.5 inch full HD (1920x1080 pixels) display. It has a metal unibody design, with curved 2.5D glass on front and edges. 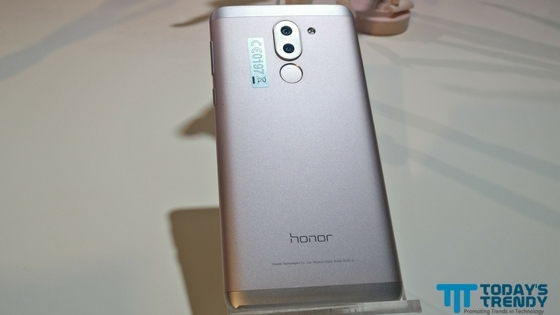 Huawei Honor 6X is powered by Kirin 655 quad-core processor clocked at 1.7 GHz. There are two models - 3 GB RAM with 32 GB internal storage and 4 GB RAM packed with 64 gigs memory. The memory is expandable up to 128 GB, thanks to the hybrid SIM/microSD card slot. The rear camera is a dual lens set-up (12 MP + 2 MP), along with a wide aperture (f/0.95 - f/16). The second lens is aimed to get the depth of field information to create the bokeh effect. The front camera is an 8 MP shooter. The smartphone is packed with 3,340 mAh battery. The device runs on EMUI operating system, based on Android 6.0 Marshmallow. Updates to Android 7.0 Nougat are promised. Huawei Honor 6X will be available exclusively on Amazon via the flash sale model. The first sale is scheduled for 2nd next month, registrations for which have already begun. The base variant is priced at ₹12,999 ($190 approx. ), while the high-end model costs ₹15,999 ($235 approx. ).